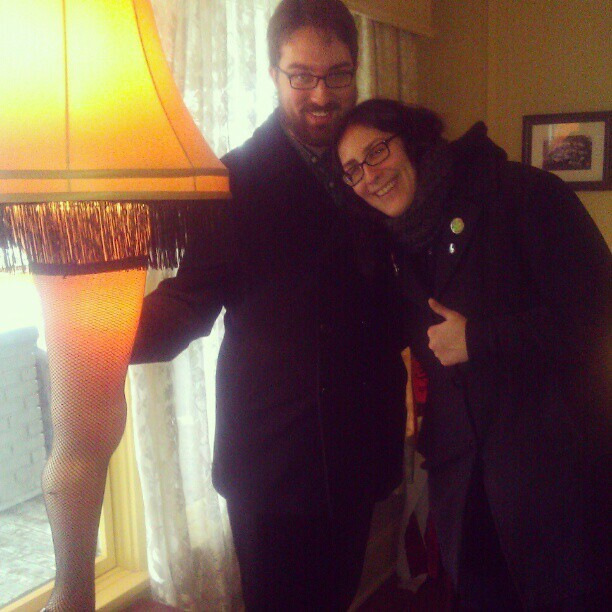 I am dying to go to The Christmas Story House! It’s just one of those things that keeps getting put off. West Side Market is my favorite Cleveland place. We just went there last week for lunch (we only live about 20 miles away now)! oh my god! kevin and i watched queen of versailles last weekend, it was hilarious! so frightening people and their materialistic craziness. especially when she went to walmart and went completely crazy and then it shows them coming into their house and the garage is already full of piles and piles of crap. just insanity!